----- Dedicating his career to the short-tailed albatross, a North Pacific seabird, Professor Hiroshi Hasegawa has led the way in advancing its recovery; fewer than 200 of the birds existed in 1976, and today there are more than 3500. Because of Professor Hasegawa’s census and banding work, scientists now have detailed population records and demographic information. 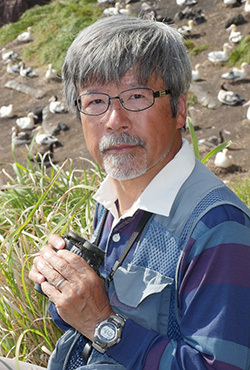 After identifying environmental conditions that were depressing reproductive success on Torishima, an island with an active volcano off the coast of Japan, he worked with partners, including government agencies, to find solutions-that is, planting vegetation to stabilize slopes on windswept terraces and establishing a new colony using decoys and recorded colony sounds. These initiatives helped ensure that the species would not face extinction from a volcanic eruption. 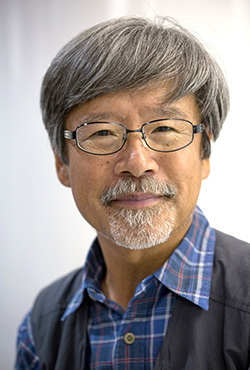 Professor Hasegawa documented his work through scientific papers and popular articles, as well as books for adults and children. 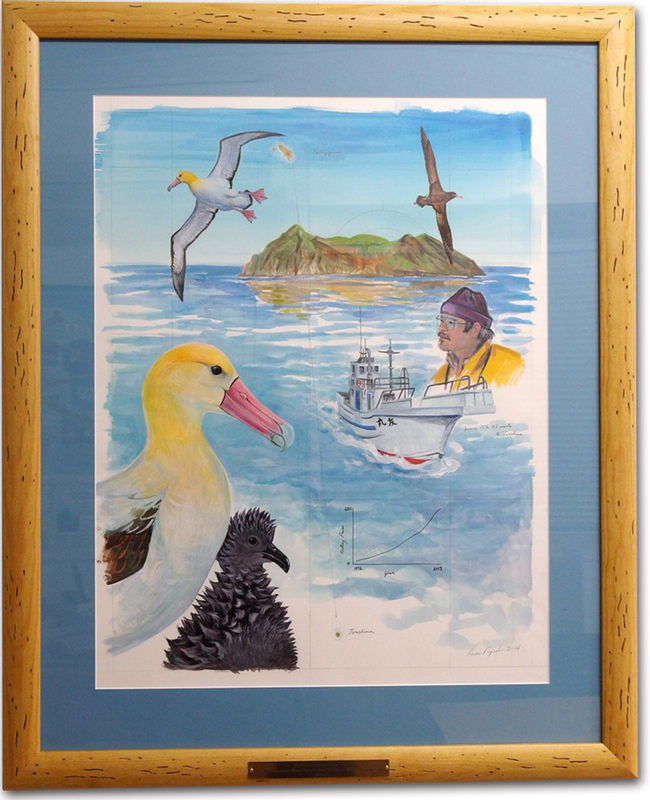 Treasured by Japan and the United States, the short-tailed albatross spends most of its time foraging at sea from California to Alaska and nests primarily on Torishima . 1979 『とべ　あほうどり』　〔伏原納知子（絵）と共著〕32pp. 新日本動物植物えほん4. 新日本出版社. 1983* 『キセキレイ　子育ての観察』　40pp. カラー版自然と科学35. 岩崎書店. 1984* 『アホウドリ：白いつばさ海をかける』　44pp. ジュニア写真動物記12. 平凡社. 1990* 『渡り鳥　地球をゆく』　204pp. 岩波ジュニア新書168. 岩波書店. 1990 『アホウドリと大あほうどり先生』　172pp. 学研のノンフィクション. 学習研究社. 1995 『風にのれ！　アホウドリ』　105pp. フレーベル館. 1995 『アホウドリ：愛のシンフォニー』　（長谷川 博 写真集）71pp. 講談社. 1997 『アホウドリの島』　56pp. 森の新聞9. フレーベル館. 1999 『よみがえれ　あほうどり』　33pp. チャイルド本社. 2001 『読者を楽しもう』　岩波書店編集部編．　6+200pp. 岩波書店. 2015 『オキノタユウの島で：無人島滞在 “アホウドリ” 調査日誌』 234+12pp. 偕成社. 1996.5 『あほうどりの物語：あるばあとあっほう』 矢田呈子作・今井弓子絵　144pp. ゾ−オン社発行,刀水書房発売. 1999.5 『アホウドリが復活する日：絶滅を宣言された鳥の保護につくした人びと』　国松俊英著. 192pp. （くもんのノンフィクション児童文学）　くもん出版. 1999.7 『消えゆくものたち：超稀少動物の生』　ダイアン・アッカーマン著,　葉月陽子・結城山和夫訳. 298pp. 筑摩書房.